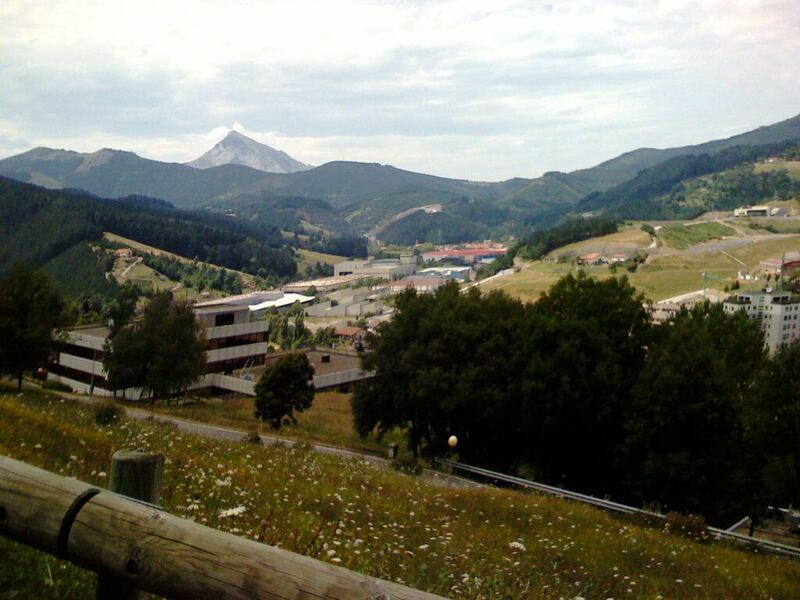 The industrial cooperatives in Mondragón, Spain are well-known in economic development circles for their sophisticated organizational structure. All workers are owners. No member receives more than eight times the earnings of the lowest wage, thereby distributing wealth in an equitable way. 10% of all profits are donated locally, which provides a dependable stream of income for the Basque cultural institutions once outlawed by the Spanish dictator Francisco Franco. 30% of all profits are reinvested into Mondragón enterprises or in new cooperatives, which builds a strong network of inter-related businesses. Staff visit to Mondragón in 2007. This worker-owned structure, developed in 1956 by Mondragón’s village priest, Father Arizmendiarrieta, is the aspiration of many cooperative efforts in the U.S. But perhaps even more significant to the success of Mondragón is the role that its bank plays in reinvesting the funds earned by the cooperatives. The worker-owners of Caja Laboral recognized the bank could not sit passively and wait for a team to walk through the door with a business plan in hand. The bank would have to act as a Social Entrepreneur— researching what new businesses could build on trusted industry contacts, making use of local resources, and engaging underutilized skills in the population. Alice Maggio at Mondragón in 2013. 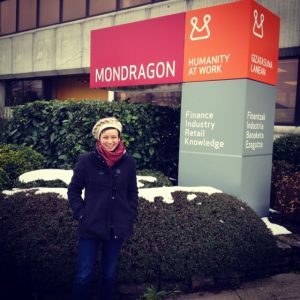 When a group from BerkShares, Inc.visited Mondragón in 2013 we learned that there were then some 102 cooperatives employing over 100,000 people and turning over annual revenues in the six billion range, making the cooperatives collectively the seventh largest business in Spain. Without Caja Laboral, where could we find this social entrepreneur function at work in our regional economy? BerkShares local currency was designed as a tool to make loans to import-replacement businesses in the Berkshire region of Massachusetts. The money is not the problem—viable new plans for appropriately scaled businesses, that meet social and environmental standards, are. One answer comes from the Northeast Kingdom of Vermont. The town of Hardwick, Vermont demonstrates how farmers, entrepreneurs, citizens, town officials, and educators can work together to effectively build a vibrant local economy that respects the region’s unique landscape and culture. The Center for an Agricultural Economy (CAE)is at the hub of it all. CAE facilitated the launch of High Mowing Organic Seeds, the Cellars at Jasper Hill, which provides aging, sales, and marketing services to local dairy and cheese producers, and Vermont Natural Coatings, a non-toxic wood coating made from whey. 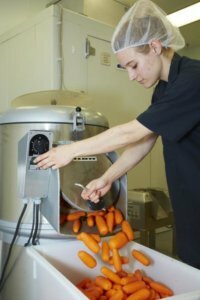 Other enterprises incubated at CAE include a soybean operation for tofu processing, an organic compost company, a food processing facility that prepares vegetables for sale to local schools and other institutions, several farm to table restaurants, a bakery, and maple products. Nearby Hardwick, Sterling College’s Rian Fried Center is preparing the next generation of farm/food/agricultural entrepreneurs to take on this tradition and grow it. Courses such as draft horse management, cheese making, brewing, greenhouse management, and apple tree pruning use the farmers in the region as instructors and provide hands-on experience in successful agricultural enterprises. The Schumacher Center is one of many co-sponsors of a talk on Friday, April 27, 2018 at 7:00 p.m. by Sarah Waring, Executive Director of CAE, and Matthew Derr, President of Sterling College, a liberal arts college dedicated to environmental stewardship. The event will take place at the First Congregational Church, 251 Main Street, Great Barrington, MA, as part of the annual membership meeting of the Berkshire Community Land Trust and Community Land Trust in the Southern Berkshires. With some deliberate and considered coordination and the participation of citizen consumers in furthering the concept, this interlocking development of agricultural-related businesses is possible in the Berkshires as well. Such an approach is of particular interest to Schumacher Center as it expands the Community Supported Agriculture concept, which was created by Robyn Van En in 1985 at nearby Indian Line Farm, to include Community Supported Industry. Other co-sponsors include: BerkShares, Inc., Berkshire Agricultural Ventures, Berkshire Columbia Investment Network, Berkshire Co-op Market, Berkshire Grown, Berkshire Waldorf High School, Community Development Corporation of South Berkshire, Egremont Agricultural Commission, Egremont Land Trust, Good Work Institute, Hawthorne Valley Association, Multicultural BRIDGE, Nonprofit Center of the Berkshires, Sheffield Land Trust, Southern Berkshire Chamber of Commerce, and The Nutrition Center. Tickets are $10 or 10 BerkShares at the door. 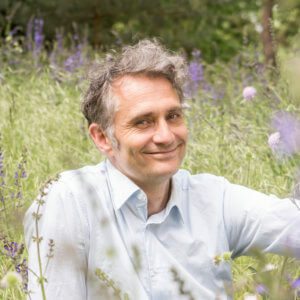 Additionally, please save the date for Friday, May 18th at 7:30 PM for a public talk by Andreas Weber, German biologist and eco-philosopher, at St. James Place, 352 Main Street, Great Barrington, MA. In his talk, titled Aliveness as the Heart of Economics, Ecology and Commoning, Weber will ask a radical question: “Why is our economy still destroying the environment and creating inequality?” He believes that the culprit might rest on an image of life where the strongest wins and fitness grants success. Biological life, however, is never about winning, but rather an endless celebration of reciprocity. Ecosystems are ways to organize giving that allows for the whole system to flourish and for the individuals to take what they need. Weber argues that only when we understand that this desire for mutuality is inherent in the living world will we be able to tailor an economic culture that does not destroy life but that mimics ecology, enacting what may be seen as a practice of love. Weber is the author of Matter and Desire, amongst other works. His book will be available for sale at the event. The talk is part of the Schumacher Center’s Reinventing the Commons Program. Admission is free. The event is cosponsored by: Good Work Institute, Kosmos Journal, The Myrin Institute, and Orion Magazine. We hope that you can join us at these two events.